Dennis E. Noll, CEO of the San Antonio Area Foundation, will be the Forum on Entrepreneurship Breakfast Series keynote speaker Thursday, Nov. 30. The event, hosted by the Meadows Center for Entrepreneurial Studies at St. Mary’s University, will be held at the Pearl Stable of the Historic Pearl Brewery. Registration, networking and breakfast begin at 7 a.m., followed by the program at 8. 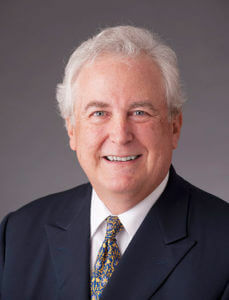 Noll joined the San Antonio Area Foundation in 2011 as CEO. Before that, he served as senior vice president and general counsel at Kinetic Concepts, Inc. In the past 25 years, Noll has also served on the boards of more than a dozen charities and two private charities. He earned his law degree from Georgetown Law in 1980. The San Antonio Area Foundation manages nearly $900 million in assets and, since 1964, has distributed more than $358 million in grants and scholarships to educate youth, preserve the environment, protect animals, fund research and provide services that enhance the quality of life for people living in and around San Antonio. The Meadows Center for Entrepreneurial Studies promotes and encourages entrepreneurial thought, business and activities locally, regionally and nationally. The purpose of the Forum on Entrepreneurship Breakfast Series is to offer the larger San Antonio community and students of St. Mary’s University a forum to hear from some of the most talented individuals in industry and government. Funds generated from the series support student scholarships and encourage entrepreneurial activities in San Antonio and the region. James Garvin, CEO of CytoBioScience Inc., will be the featured speaker at the next Forum Breakfast event Thursday, Feb. 15, 2018. At the previous event, in September, the Forum Breakfast series featured Bryant Ambelang – president and CEO of NatureSweet Brands LTD. Past speakers include Daymond John, “Shark Tank” investor and founder of FUBU; Colleen Barrett, president emerita and corporate secretary of Southwest Airlines; Stuart Parker, CEO of USAA; Paula Gold-Williams, CEO of CPS Energy; and Bill Greehey, chairman of NuStar Energy, L.P. The series’ 2017-18 title sponsor is PwC. For information on sponsorship opportunities and purchasing tables and individual tickets, please contact Pamela Duffy, CAP-OM, at forumbreakfast@stmarytx.edu or 210-436-3124.